Schnitzelburg is a special part of the larger area of Louisville known as Germantown. While all of Germantown includes the area roughly bound by Breckinridge Street, Shelby Street, Eastern Parkway and Beargrass Creek, Schnitzelburg is the southwest (Shelby and Eastern Parkway ) corner of the larger area. Actually Schnitzelburg itself has been traditionally defined by the loop of the old Portland-Shelby bus, and generations ago by a mule drawn car that made the same loop. Specifically this loop begins at Shelby and Goss, goes out Shelby to Burnett, Burnett to Texas, Texas to Goss and Goss back to Shelby. The Schnitzelburg area, however, extends beyond the traditional loop and includes the area which is bounded by Shelby, Clarks Lane and Goss Avenue (Poplar Level Road). Schnitzelburg has a rich German-American heritage. When the original German settlers in Louisville were joined by a great influx of immigrants from Germany in the 1850's and 60's, the older Butchertown and Phoenix Hill Neighborhoods did not have enough space, so many newcomers and the younger generations of the earlier settlers moved 'Out Shelby' into the subdivisions of Colonel Arthur Campbell's land, what is now Germantown. The Schnitzelburg section grew rapidly after St Elizabeth Parish was founded in 1905. 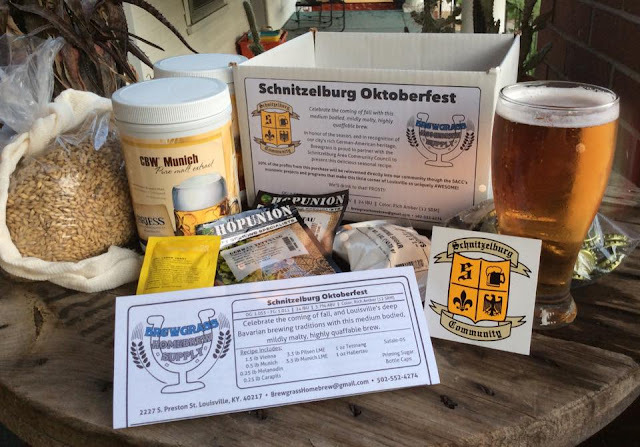 Originally Schnitzelburg was suburban, with backyard gardens, brickyards and dairy farms. Today we're well known as an upcoming urban neighborhood with neat shotgun cottages and bungalows with front porch swings and a wealth of small businesses and pubs. Our local landmarks include Manual Stadium, St. Elizabeth Church, Emerson Park, and the Old Louisville Antique Mall (formerly the Louisville Textile Mill). 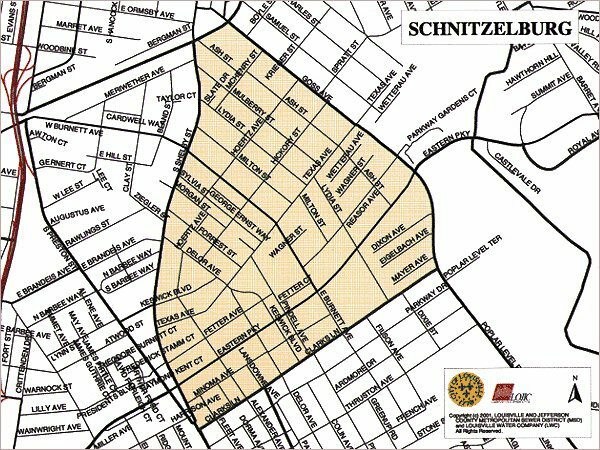 A Neighborhood Snapshot of Schnitzelburg, compiled by the Center for Neighborhoods, can be found here. 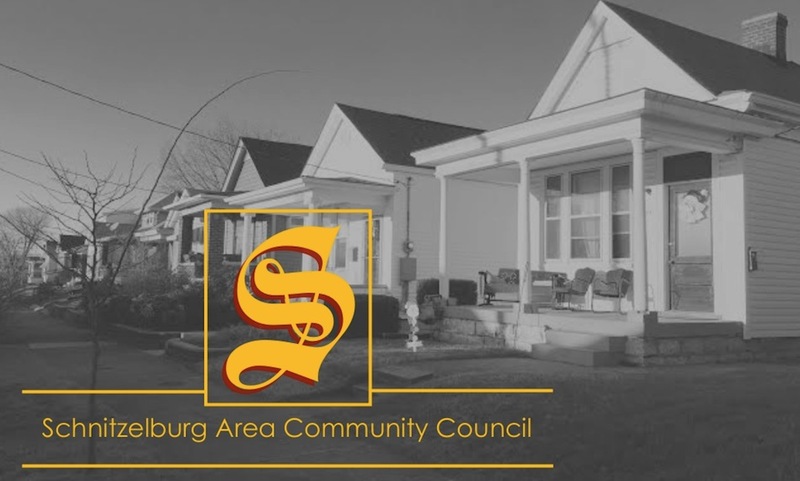 The neighborhood is served by the Schnitzelburg Area Community Council. Among their various duties, the SACC oversees community beautification projects, holds community events (such as the Dainty Contest, an annual dog walk, potlucks, movie night in Emerson Park, and lots more! ), assists in community planning, and serves as a liaison between Metro government and residents. We're always welcome to any questions, concerns, or comments. Interested neighbors and supporters from neighboring areas are invited to participate. If you are interested in joining the board, please fill out this application. The SACC board bylaws can be found here.